August 2 – Manchester City have secured what likely passes as a kit deal in the eSports market, signing gaming accessory brand Turtle Beach as the club’s first Official Esports & Gaming Headset Partner for the club’s eSports team. Man City has two players – Marcus ‘Marcuzo’ Jorgensen and Kai ‘Deto’ Wollin (pictured), current PS4 world champion – qualified in the 32 players competing for the FIFA eWorld Cup Finals that start today at London’s O2 Arena. Both will use Turtle Beach’s Elite line of professional gaming audio equipment, as well as other Turtle Beach gear and accessories. No figure was announced for the specific eSports sponsorship but Turtle Beach CEO Jurgen Stark did emphasise that this these are still early days in the growth of the eSports business and for Man City’s team. “No matter what the game, competitive play is about total immersion, and this is what the Manchester City players can expect from our Elite Pro series. 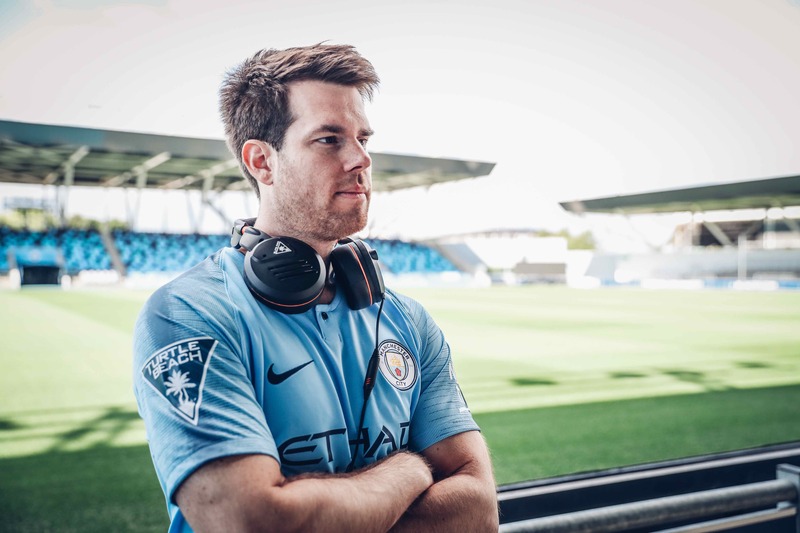 Manchester City is a truly global brand and while their esports endeavours are just beginning, we’re thrilled to be able to embark on the journey with them and to help them achieve even more success both on the virtual pitch and off,” said Stark.